With the market now back up in the newly refurbished market place, our market has grown week on week, bringing a real buzz to the town centre and a wonderful mix of traders from across the region. Market days are every Tuesday, Thursday, Friday and Saturday 9 am -5 pm. Our markets feature street food and an array of stalls which include the highest quality fresh food, plants, local produce, crafts, luxury items and quirky keepsakes. The focus is on high-quality product, competitively priced. Our market has a long and proud history and some the traders have been trading here for over 30 years. We are very proud of our traders, the majority of whom are small (and often young) enterprises who literally operate their business from their market stall. You’ll find they are incredibly enthusiastic about their products, the market and Wokingham. 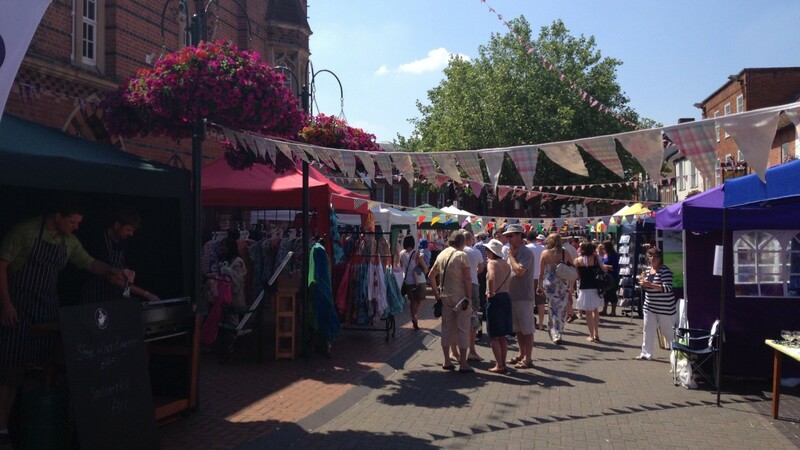 Not only does our market provide a great shopping opportunity, but it also acts as a community hub and is utilised by a wide range of local organisations wishing to promote their services and engage with the community. We welcome market enquiries from local community organisations and enterprises wishing to make a guest appearance on the Market. Shoppers can also grab a bite to eat at one of the market's street food vendors Japanese Deli, O&H Greeklicious, Kobyn Coffee and Dream Breakfast.